Milton Drivers craving equal parts thrilling performance and interior luxury will likely find a lot to like about the 2017 Mercedes-Benz E 400. Powered by a standard 3.0L V6 biturbo engine and 7-speed automatic transmission, this model has gotten a host of stellar reviews from top American auto critics like Car and Driver. 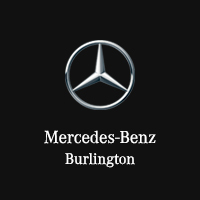 If you’re in the Hamilton area and would like to get a better idea of what features to expect, contact us or drop by Mercedes-Benz Burlington for a test drive! Whether you’re ready to finance the E 400 or you simply want to take a closer look, we encourage you to stop by our Burlington dealership today to learn more about the Quantum Difference and the unique perks we offer our customers! *Bluetooth is a registered mark of Bluetooth SIG, Inc.